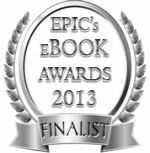 This interview originally appeared November 9, 2012, on paranormal suspense author Angela Campbell‘s blog. 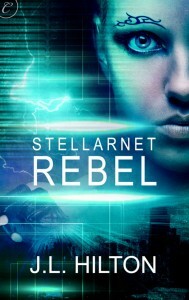 Angela Campbell: I’m a big sci-fi geek and loved Stellarnet Rebel — it was so unique and more emotional and, dare I say it, political than I expected. The world-building you did in it was quite incredible. 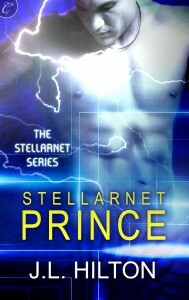 I can’t wait to read Stellarnet Prince. Where did the idea for this series come from? J.L. Hilton: Thank you, I’m so glad you enjoyed it. This series began when I had a dream of Genny and Duin meeting in the middle of the Asteria Colony market. I woke up, wrote the scene, and the rest just seemed to exist, fully formed in my mind. Exactly how that happened is still a mystery to me. At the time, there were several things stewing in my subconscious. I was rewatching Babylon 5, discovering North and South, listening to Les Miserables and Irish folk music, viewing the first season of the BBC’s Robin Hood, and playing video games. That same year, 2009, I was also a global sponsor of Can’t Stop the Serenity for which I designed and donated sixty handmade pairs of Browncoat earrings, to help raise money for Equality Now and other charities. So, Firefly was on my mind, too. Angela: (Squeals) Firefly! oh my gosh, I love Firefly! And Capt. Mal. Mmm. Yummy Capt. Mal. (Composes self). I’m sorry, What were we talking about? Oh, right. I love that your subconscious drew inspiration from so many different and varied sources. For those who haven’t read Stellarnet Rebel, can they read Stellarnet Prince as a standalone, or will they be completely lost without knowledge of the first book? J.L: I think Stellarnet Prince could be enjoyed alone. I tried to provide enough context that there wouldn’t be any “huh?” moments for first-time readers. But I recommend both, for the best experience. There are several twists and turns in the first book. If they were read out of order, you’d have all the spoilers. Plus, the characters grow and change, and I think that process is interesting to watch. The story grows and changes, too. Stellarnet Rebel is about a few people in a space colony who are caught up in circumstances larger than themselves. Stellarnet Prince introduces several new characters and expands in scope. Though the heart of the story is still Genny, Duin and Belloc, and how love and friendship survive through difficult circumstances, they are no longer powerless but have to deal with the power they have as celebrities and political figures. Angela: The first book dealt with a — I don’t know how to describe it without giving too many details away other than to say it’s a sort of complicated love triangle between Genny, Duin and Belloc. Does that continue in Stellarnet Prince? (For the record, I liked Duin, but I’m Team Belloc all the way). J.L. 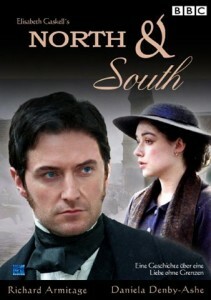 : The complicated love triangle continues, and it’s an important aspect of the sequel. I’m trying to think of things to say about that without being spoilery… The two males in the story are aliens, so they have a different outlook on love and relationships than we do. They come from a different cultural and religious background than anything on Earth. Which is what makes it interesting. But given their individual histories (which you know from reading Rebel), there’s a lot of personal conflict between them. Angela: I should point out that while your first book does have a romantic element, it’s mostly a sci-fi read. There was also some humor that I loved. Is that true of Stellarnet Prince? J.L. : There are moments that made me laugh and cry while writing, but rarely are they the same moments that readers find funny or sad. I aimed for a similar balance of action/adventure, technology, character development and humor in Stellarnet Prince. “World building” is the term I often hear from reviewers, and there’s even more of it this time around. We’re not just on Asteria, we’re on Earth in the year 2062 (and Mars, for a chapter), and we spend more time on Glin, Duin and Belloc’s home world. There are also several glimpses into Tikati culture and physiology. Hax and his other Haxes are still their crazy selves. Blaze spouts his weird colonel-isms. Duin is… Duin. Genny has her sarcasm and Belloc his wry, subtle wit. You will meet some new folks who are a hoot. Stellarnet Prince is funny, but the plot thickens and I think it overshadows the humor. A little bit. You’ll have to let me know what you think, when you read it. What were some of your favorite moments from Stellarnet Rebel? I’m always curious. Angela: Without being spoilery, I loved the avatars for Ginny’s friends in the beginning, especially Nik (or Neek), Hax (one of your characters) was fun to read, and I thought some of the Asteria regulations were a bit humorous (and a little terrifying) as well as some of the information Genny looked up on the Asternet. I’m a pretty big fan of your heroine, Genny, because she’s kind of the futuristic equivalent of Nellie Bly. Did you draw inspiration for her from anyone in particular? J.L. : I think Genny was a bit of Margaret Hale (Daniela Denby-Ashe) from North and South, and a bit of Marion (Lucy Griffiths) in the early episodes of Robin Hood. Marion was a brave defender of the downtrodden and a kickass heroine – just don’t get me started on what a lame tart she turned into later in the series. She didn’t deserve the black guyliner tears Gisborne cried for her. This might sound weird, but I also think Genny comes a bit from Natalie on the TV show Monk. I’ve always loved Natalie – she has a way of being assertive, sassy, capable and intelligent but also loving, compassionate, balanced and kind. She’s a gentle soul, but not a pushover. Strong, but not obnoxious. Like Genny. I think she’s a little bit like Rose (and Duin is like the Ninth Doctor), but I didn’t watch that season of Doctor Who until after I’d written most of Rebel, so they weren’t really based on those characters. They’re just coincidentally a lot like. Angela: Are there any more books planned in this series? J.L. : I’m working on a third book. I’ve thought about doing prequel novellas. I could tell the story of Genny’s stay on the space station Perspective, when she met Seth. Or how the people of Duin’s river captured the Tikati ship, and how Duin learned to fly it and to speak English before coming to Asteria. Or Belloc’s childhood, and how he and his mother ended up on the Tikati prison ship. I’d love to tell the story of how Hax became the head of the Tech Center and built his leet lair. I could write a whole other series about Hax. Angela: Let’s get to know J.L. Hilton, the person. Are you a member of any TV show/movie/book fandoms? J.L. : I like IT Crowd, Babylon 5, LOTR, John Dies at the End, Star Trek TNG and DS9. I’m a huge fan of Firefly and Yogscast. I’m also a big supporter of Glitch and Zombie Orpheus Entertainment’s Journeyquest and the Gamers series. Angela: What would people be surprised to learn about you? J.L. 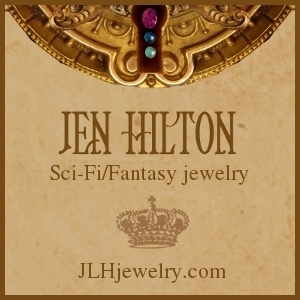 : It might not be much of a surprise after my current blog tour, but I’m also a jewelry designer and a tarot card reader. And I can tie a cherry stem in a knot with my tongue. For some reason, that seems to surprise people. Angela: I’d like to thank J.L. for taking time out to chat with me today. This entry was posted in News, On writing..., Science Fiction, Stellarnet Prince, Stellarnet Rebel, Stellarnet Series, Visiting authors. Bookmark the permalink.